Deborah Norris was born in Northern California but spent the majority of her growing up years in Boise, Idaho. She has written hundreds of short stories and articles on health, emotional wellness, family, and cultural history. Norris’s novel, The House Guest, captures in colorful fashion the actual events, cultural mindsets and obvious proclivities surrounding her own Scandinavian family and personal life experiences. Deborah’s expressive writing style quickly engages her readers and encourages them to sit back and enjoy an often nostalgic, magical journey. She and her husband Quincy have grown children and several delightful grandchildren. They are happily retired in beautiful Boise, Idaho where Deborah continues a passion for writing. What inspired you to write your first book? I consider myself most fortunate to have had the opportunity to spend so much time with my Scandinavian family throughout the years – especially the older generation. I would listen for hours to their beautifully told tales of life in Norway and then how they slowly transitioned to life in America once they emigrated. By the time I was twelve, I knew that I would someday write a book about their colorful and spirited lives. They were my true inspiration. How did you come up with the title? My family’s big, two-story Victorian house in Nebraska was the inspiration for not only the book title, but also the setting. They always had house guests, and everyone was welcome. Is there a message in your novel that you want readers to grasp? Regardless of our persuasions, our perspectives and our prejudices, there is always room for diversity of thought and expression. How much of the book is realistic? 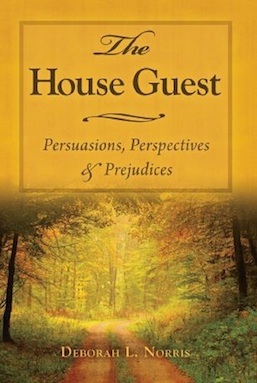 The events which occurred in The House Guest are primarily factual, derived from the written and oral recollections of family members. Names were changed, but the general account is a fairly accurate compilation of their respective stories. What books have most influenced your life? Little Women by Louisa May Alcott, I Know Why the Caged Bird Sings by Maya Angelou, and Twelve Years a Slave by Solomon Northrup, just to name a few. If you had to choose, which writer would you consider a mentor? Maya Angelou, of course. I love her many works, but most of all, I love her unique, overall perspective on life. Who designed the cover? Mill City Press with my personal direction. I was looking for a nostalgic feel and was quite pleased with the results. What was the hardest part of writing your book? The dialogue. It takes time to write realistic conversation that continually compliments the uniqueness of each character. You have to really understand how the character thinks in every situation. The most challenging aspect of The House Guest was the number of characters and the fact that they all had their strong opinions. 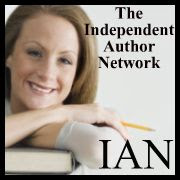 Do you have any advice for other writers? 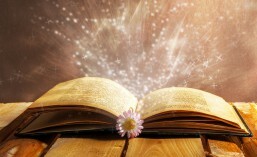 “There is no greater agony than bearing an untold story inside you.” This is a favorite quote by Maya Angelou. Write, and keep writing. The story within you must be told. Do you ever experience writer’s block? Absolutely. When it happens, I put my hands up slowly and step away from the computer. Creativity requires inspiration. If my writing has hit a plateau then I need to refuel my inspiration. The most inspiration-building activities I can engage in are conversing with positive, faith-filled people and going for a walk to take in the awesomeness of nature and my surroundings. Most importantly, I don’t stress over so-called writer’s block. Creativity and inspiration always return, and sometimes a break is exactly what is most needed. Do you write an outline before every book you write? Yes, and along with a fairly extensive outline, I pre-determine chapter titles and the ending before beginning the actual content writing of the novel. What were you like at school? Quiet, sensitive and creative – with a slight penchant for mischief. Were you good at English? It was definitely my best and most enjoyable subject during my school years. Give us an insight into your main character. What does he/she do that is so special? Maggie Davis is a gentle soul, but also has a determined side, as well. She has endured tragic circumstances, yet remains true to herself and to her love of life. Maggie is not the most notable character in the book, but she certainly is the one who creates the atmosphere for life to happen. Which actor/actress would you like to see playing the lead character from your most recent book? I have long thought that Katherine Heigl would be a good choice to play lead character Maggie Davis in The House Guest. They both portray a gentle-spirited disposition while being perfectly capable of handling the direst of situations. Why do you write? For the pure enjoyment of it all, and really for no other reason. Writing is my passion, something I am compelled to do. Do you have a special time to write or how is your day structured? My best time of day is early morning, after a cup of coffee, and following a little quiet time. I write when I’m inspired, generally a few pages per day. Do you write on a typewriter, computer, dictate or longhand? I usually keep a notebook handy for jotting down thoughts and ideas when I’m away from my computer. It’s easy to transfer those writings into my book outline on the computer when I’m ready to formulate a chapter. How long on average does it take you to write a book? Generally a year, sometimes longer. For your own reading, do you prefer eBooks or traditional paper/hard back books? I really don’t have a preference, and enjoy reading either. It’s the content that matters. What book/books are you reading at present? The Missing Kennedy by Elizabeth Koehler-Pentacoff and When I Was a Slave by Norman R. Yetman. Do you have a strategy for finding reviewers? I give a lot of books away in exchange for reviews. I’ve found this to be a positive strategy for not only discovering reviewers but also for introducing them to the story of The House Guest. What are your thoughts on good/bad reviews? Of course my favorite reviews are good ones. But, I certainly don’t lose sleep over a mediocre review. It’s going to happen. I will say that I don’t care for one-liner reviews, whether they’re good or bad. My thought is, if you’ve taken the time to read a book and intend to do an honest review, then put some thought into why you like or dislike the read.